Hannum’s H-D was awarded & recognized by the Harley-Davidson® Motor Company for a 2017 Model Year Bronze Shield Award! Hannum’s has performed at the Bronze level (or better) for the last three consecutive years. Sailor Jerry Spiced Rum is continuing its multi-year partnership with Harley-Davidson with the “My Work Speaks For Itself” contest. 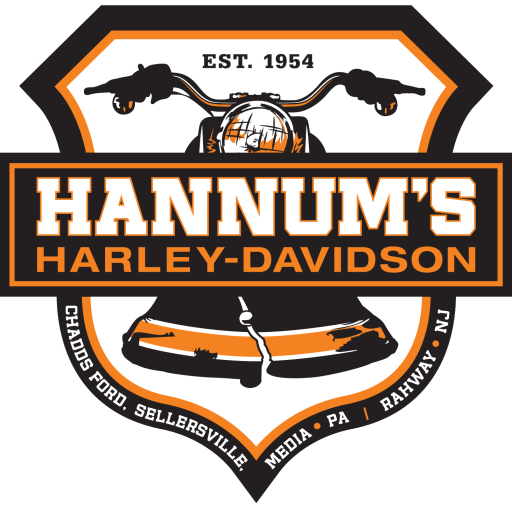 Hannum’s Harley-Davidson acquired Rommel Harley-Davidson [of Scranton] today. The newly titled Electric City Harley-Davidson – a revival of the dealership’s original name and nod to Scranton’s unique historic identity – will open on Thursday, February 1st. Read More Hannum’s Electric City Harley-Davidson Coming Soon! We’ve collected 12 of our favorite pre-owned bikes from all 4 of our stores, and we’re showing them off with blowout Holiday prices! Own the Holidays with these Top Harley-Davidson Gifts For Her! Own the Holidays with these Top Harley-Davidson Gifts For Him! Own the Holidays with these Top Harley-Davidson Gifts Under $50! While we love the Black Friday tradition, we nonetheless realized that one day is simply not enough… So this year we’re going to ‘Rev Up the Holidays’ with 8 FULL DAYS of Black Friday Deals! While some may wrap-up their bikes for the winter and pack away their gear, never to be seen again until March, our staff and customers are gearing up for an exciting and informative off-season with plenty of Hannum’s H-D Workshops! Changing seasons mean changing styles. We have so many New MotorClothes we asked the whole staff to help us model! Nothing’s worse than a dead Harley battery on a Saturday morning. Prevent this, with our 5 Tips for a Healthy Battery!